Sometimes, feeling useless can feel quite nice--particularly on a movie set. Hurry-up-and-wait sums it up, of course. But if you're just lurking like I tend to do, watching former students do their thing, you can be quite invisible and love every minute of it. 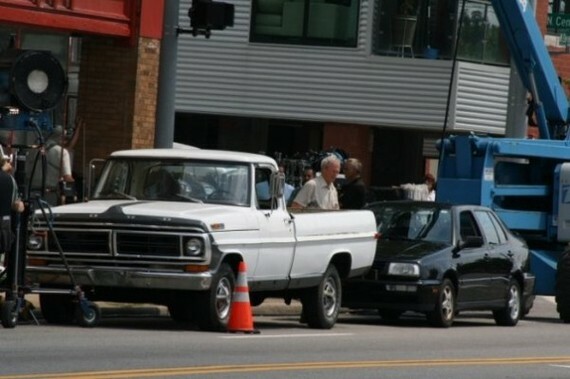 As an extra in Gran Torino, on the other hand, I felt useless even though I did have a job to do. I was told to walk down the street toward the Grosse Pointe hardware store and act like that wasn't Clint Eastwood in front of me. It took me five times, but I did it. And when the camera stopped rolling, I quickly came to realize that I wasn't a person, really--I was a prop, a prop that could be replaced much easier than the rake in the window I was instructed to examine, pretending that wasn't Clint Eastwood in front of me. I bumped into one of my students, Joe Elrom, working on the set as a location assistant--a job he got through Craigslist. He ended up befriending one of the camera operators who took him under his wing and Joe is now in Atlanta working on such films as digital imaging technician for Selma, The Five Year Engagement, The Internship as well as many TV series. As a student, Joe was always team-oriented, calm, and an excellent critical-thinker with very high standards. Even when he was working, he always took the time to help out my current students. It's no surprise to me that his talents were quickly realized by professionals in the film industry. But two weeks ago, I didn't have to be an extra. I was more than happy to fade into the darkness of the seedy hotel room below (built on a set at MPI Film School in Troy) and enjoy watching former students Daniel, Adam, Jeremy, Alison, and Jason go through the craziness. After working on many five-hour film shoots with all of them long after school officially ended it was a good to just pop in for a visit and later hear about the 4 a.m. wrap. If I'm every forced to write a Ph.D, I'd write about talent overcoming all traditional school barriers of gender, race or ethnicity. 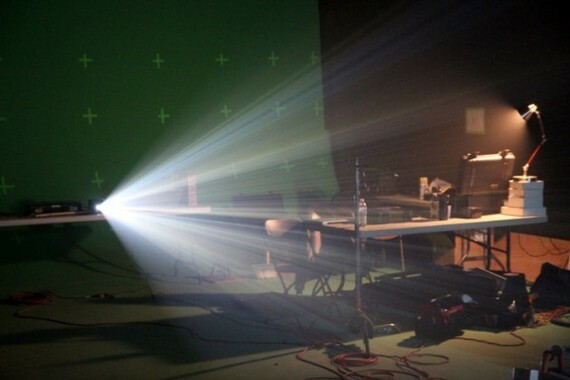 In beginning video classes, as students saw one another's work, talent sought talent. 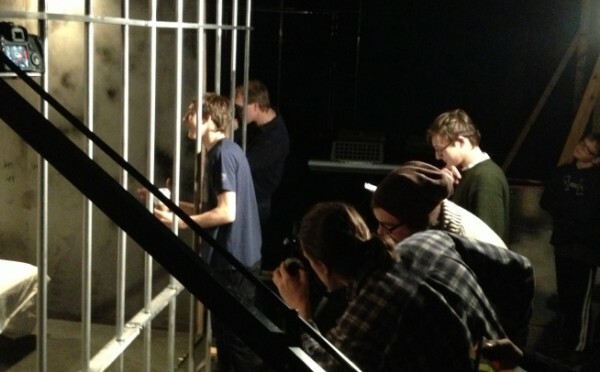 Strong actors found themselves in high demand, as did the kids excelling at editing or camerawork. One of the greatest bi-products of our program at West Bloomfield High School is the alumni support of the students. Like Joe Elrom's classmates, Jason Potash, '04, whom I've written of when he brought many of these same students to New York to be in Brightest Star (link) often returned to school to train students after his four years at Columbia. Aaron Lebovic is another student from the deep 2004 talent-pool who has become a mentor to many WBHS kids. Kale Davidoff, '08, a writer for this blog just finished 15 months on the Batman vs. Superman: Dawn of Justice, after Iron Man 3 and Transformers: Age of Extinction yet never hesitates to drop by the students' set--as he did that day with me. Daniel and Adam Cooper on the 2014 set of The Fourth Wall. And it was Kale who introduced Adam and Daniel to 2009 West Bloomfield graduate, Jeremy Shecter, '09 who graduated from MPI's intense one-year program and agreed to produce The Fourth Wall. Jeremy produced a feature film at West Bloomfield High School his senior year, The Block, after I tagged him for the job seeing his responsibility and creativity on a smaller project. He also tackled the senior class video singlehandedly and went on to MPI. 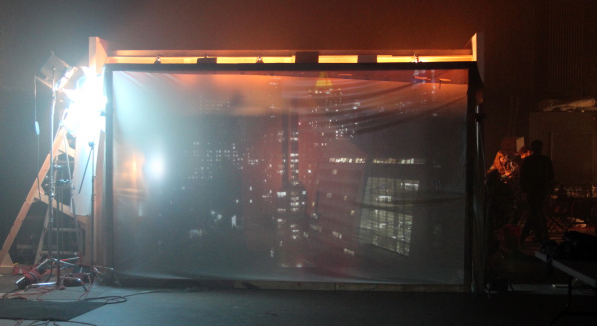 Jeremy immediately supported the Coopers' vision and worked with MPI for the preparation of its studio as his crew worked through many nights to prepare the two sets, including adding a rear-projected skyline that Daniel shot in New York. "We were a little nervous how it was going to look," Adam admitted, "but it looks awesome--and we don't have to chroma-key it in post." It was at both of the above festivals that Adam and Daniel noticed a young filmmaker from Lake Orion who's amazing historical period-pieces and outstanding camerawork led them to inviting him to join them as lead actor for The Fourth Wall and director of photography for Five Windows--Jonathan D'Ambrosio. The twins discuss their film and their friendly rivalry below. Perhaps what makes me most proud is to see former students not only teaching but giving others the same chances they were given, including my son's friend Evan Gulock, a Royal Oak senior, that Adam met at my holiday party. That same evening they shared one another's YouTube reels on my basement computer, talked about college and a week later Evan was on the set. Another student from West Bloomfield, Jason Pauli, is a year behind Adam at Columbia, and worked with the guys on many projects at their alma mater. And Jeremy's classmate from MPI, Andy Bisaha, saw The Fourth Wall and said, "I want in on their next film!" 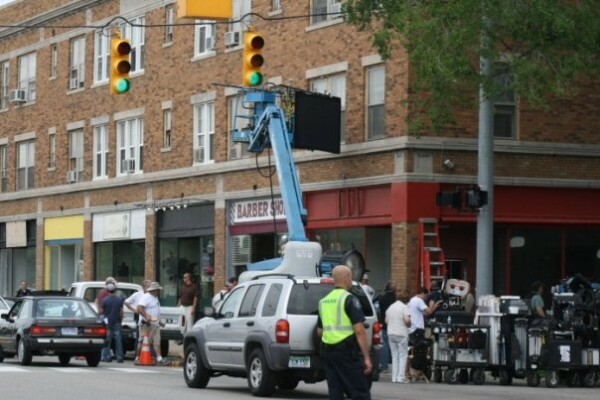 Life is about moments, whether you're standing next to a cameraman waiting for Clint Eastwood to walk out of a barber shop or you're making sure that nobody walks in front of a New York skyline in Troy, Michigan. It is really who you know as well as when you know them--but more importantly, like Joe, Jeremy, Adam and Daniel, who you are when you meet them. Video content produced by Kevin Walsh. Originally posted on Kevin Walsh's blog, MyMediaDiary.com.